ANATHEMA - PENTECOST III VINYL (LP BLACK) | Online Shop | Wizard LTD. 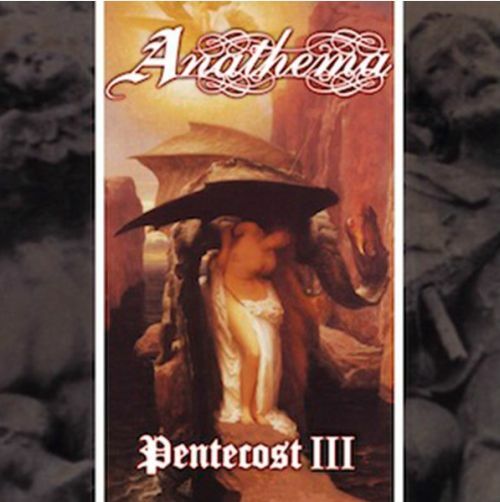 Album: "PENTECOST III VINYL (LP BLACK)"
&apos;Pentecost III&apos; was released in early 1995 & was recorded at the infamous Academy Studios in Yorkshire UK. It featured classic heavy & often hypnotic doom metal, as well as a reworking/re-recording of the Memento Mori track from the &apos;Iliad&apos; of Woes demo, plus the hidden track &apos;666&apos;. This was the last release that vocalist Darren White appeared on, before leaving the band to form The Blood Divine with various members of the original Cradle Of Filth line up. This is the first vinyl edition of &apos;Pentecost III&apos;, having only reached the test pressing stage originally, & is presented on 180gsm black vinyl.